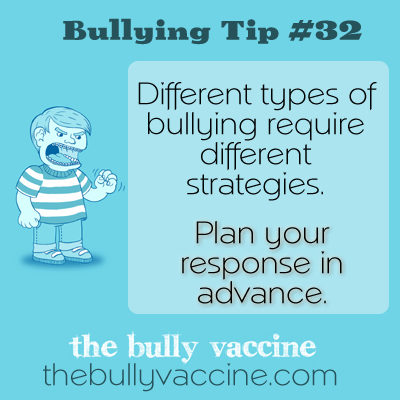 Bullying Tip #32: Are you prepared to handle different types of bullies? Different types of bullying require different strategies. Plan your response in advance. Bullies use a variety of tactics. In order to defend yourself you need to have a plan.